There was an interesting article on the front page of today’s Washington Post about worship and technology. Seems like people are more concerned with the method rather than the act of worship. Yesterday’s USA Today had an interesting opinion piece about God and the role of women. Reminds me why I’m not Southern Baptist anymore. The warm weather we’ve been having lately reminds me of something that can only be described as coming from God – the Frosty! I enjoyed one this afternoon and it was heavenly! Remedy is here and it is truly amazing! 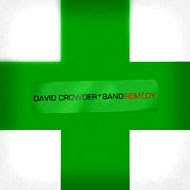 DCB continues to produce wonderful worship music. Read Marko’s review here – his is better than anything I could do. My sister-in-law Erin celebrated her 30th birthday today! Happy Birthday! Erin is married to a great guy named Jeremy and together they are the parents of four wonderful kids. You can check out her thoughts on motherhood here.